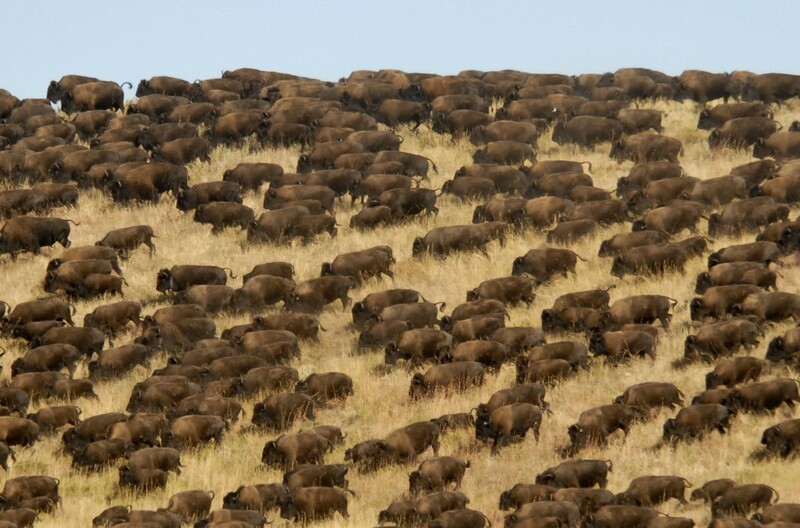 Feel the earth tremble as the hooves of more than 1,300 American buffalo pound through the valley. 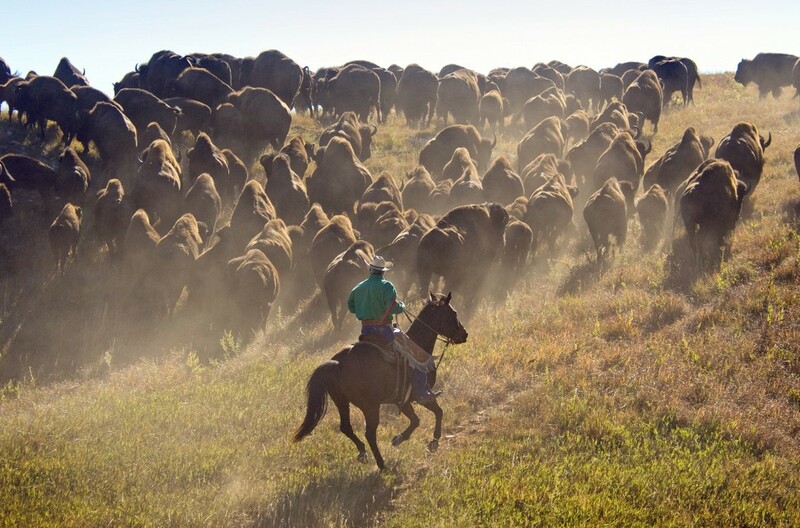 At the annual Buffalo Roundup, herdsmen on horseback spur them over the ridge, down the hill and into corrals for sorting. The entire Custer State herd passes by only a few hundred feet from your seat. After they are safely in the corrals, you can watch as the herd is sorted, branded, tested, and treated. 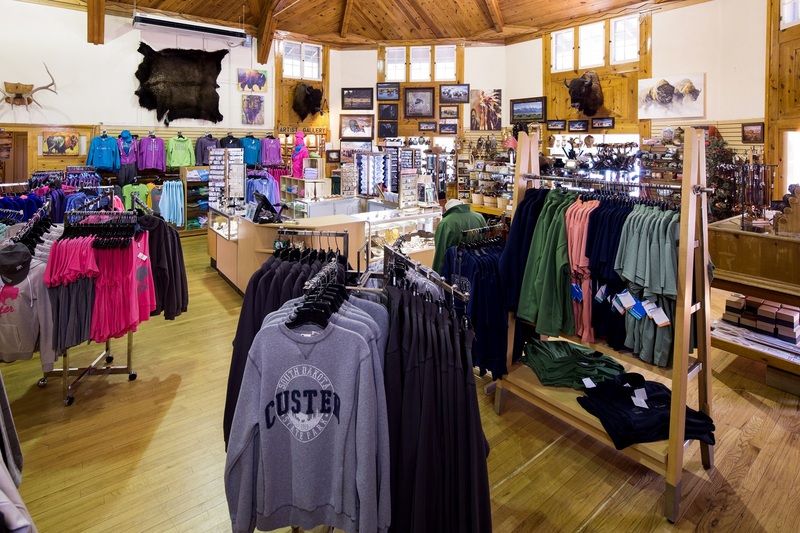 Custer State Park is home to one of the largest American bison herds in the world. 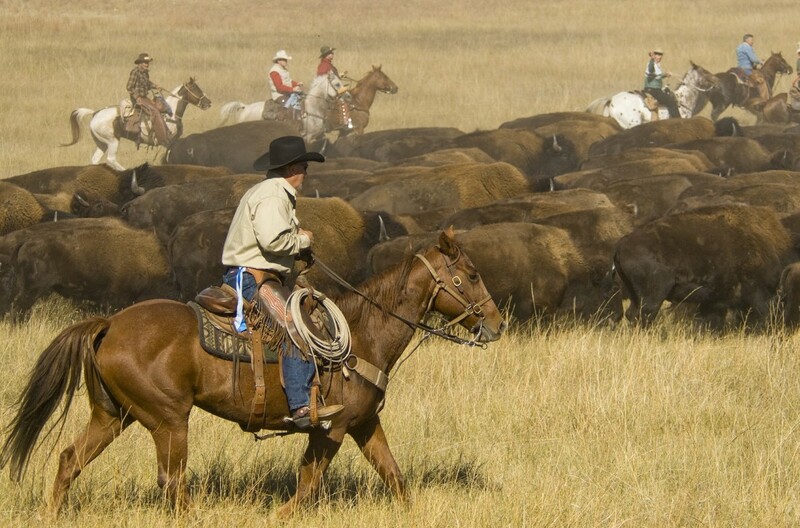 The annual roundup keeps the population in balance with the available land and resources. Most return right back to their home, the grasslands of Custer State Park. 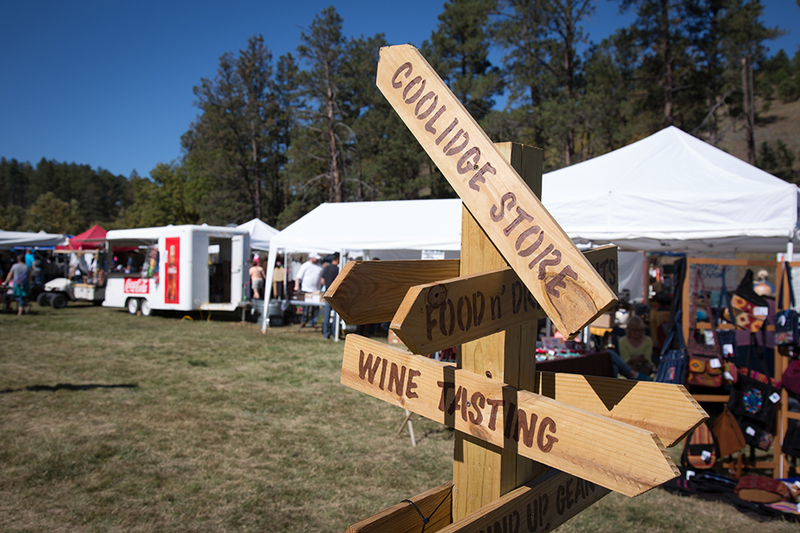 The event is open to the public and attracts more than 14,000 people each year. And, in 2015, it was designated The Top Event in North America by the American Bus Association. 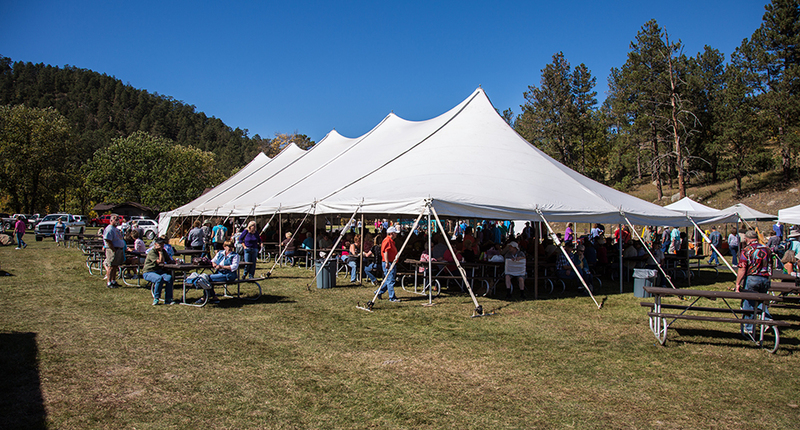 Plan your trip at the Custer State Park Resort to coincide with this one-of-a-kind event. 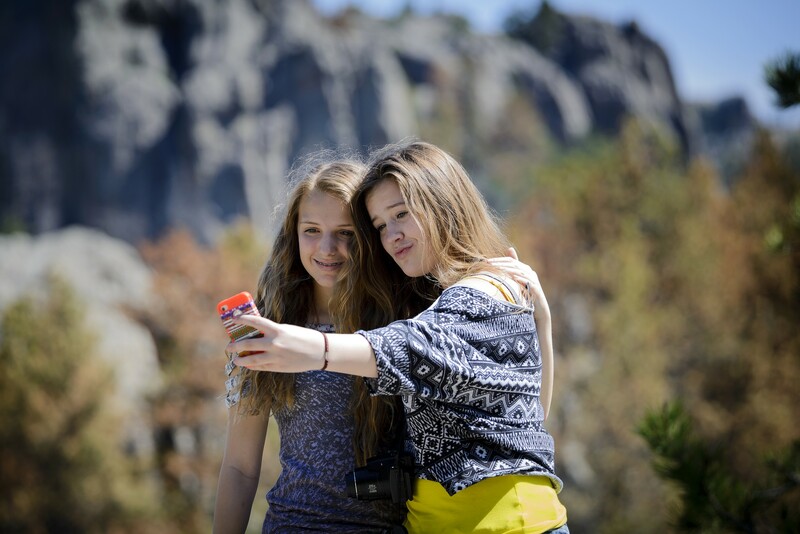 Explore the Custer State Park site for further information! 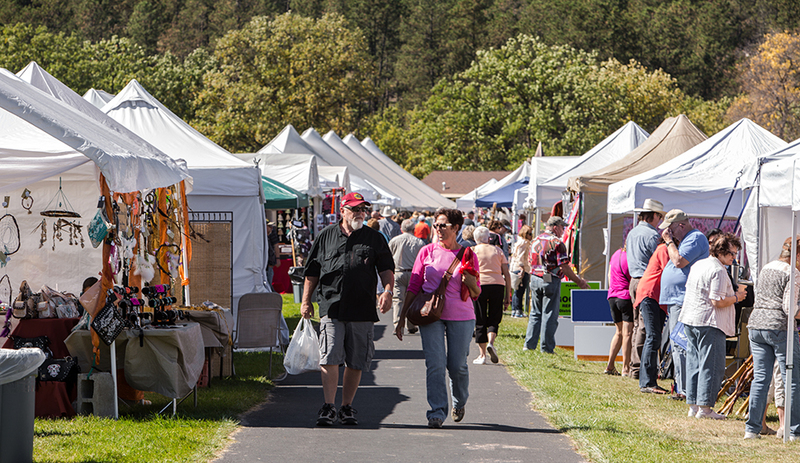 We love showcasing local artists' work at the Arts Festival. Vendors, please download the application to have a booth. Questions may go to: custerstatepark.artsfestival@gmail.com. We hope to see you there. 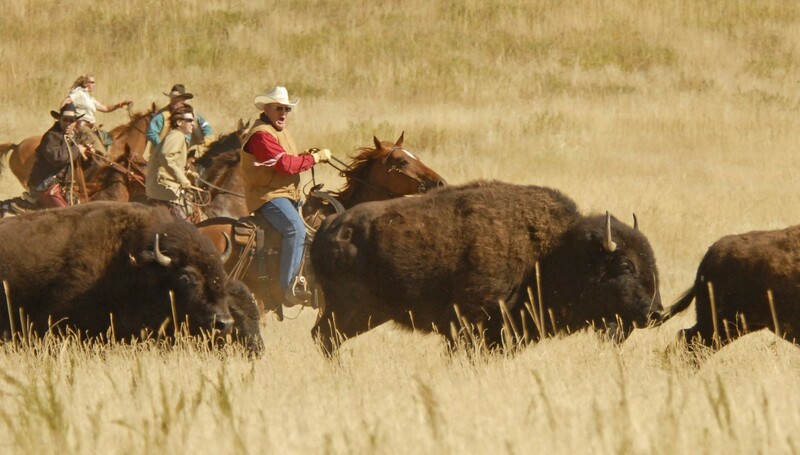 Cowboys rounding up the buffalo.